Notes from Brian Simmons’ keynote presentation at the 2009 Pepperdine Lectures – “The Triumph of the Cross” covering Colossians 2:8-15 – Thursday May 7, 11AM. Starts out polling the audience about their fears – more people in the audience are afraid of spiders than anything else. Tells a story about a college girl in a class he was teaching sitting on the front row. He noticed a spider dangling over her head during his lecture. He decided to ignore it instead of calling her attention to it and making a scene. The spider eventually dropped down onto her head and got in her hair. Other students noticed and once someone told the girl a spider was in her hair, she jumped out of her seat and started freaking out running around pulling at her hair screaming and crying until she ran out of the room. They didn’t see her back in class that day. Spider as an illustration: there are only a few spiders in the United States that can actually hurt us. 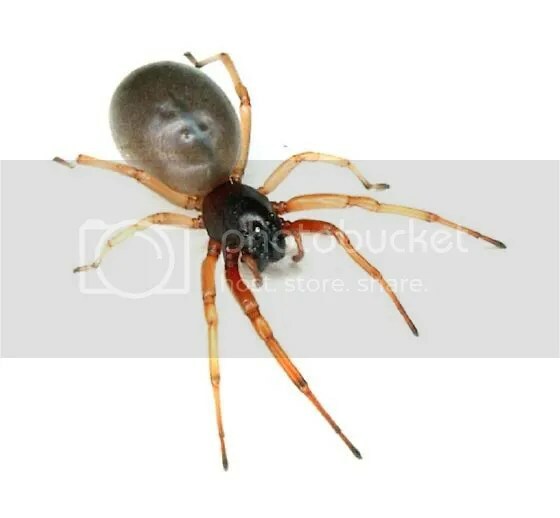 Black Widows and Brown Recluses are bad, but 95% of the spiders we encounter can’t hurt us at all. That doesn’t keep people from being afraid of them though. The girl gave that tiny spider authority over her – the spider couldn’t hurt her, but the girl treated it like it could. All the power it had over her it had because she gave it power over her. The same thing was going on in Colossae at the time of Paul’s writing – Christians had given authority to something small that really didn’t have any authority over them – only the authority they gave it. If sin has power over us, it’s because we’ve given it power over us. Christ and _______ (insert whatever you’d like) is not the gospel! Tells real people’s stories he’s encountered – 1) Dan is a drug dealer who got a bunch of kids hooked on meth. Came to Jesus, but doesn’t feel forgiven, so he slipped back into his old lifestyle. 2) Mary is a woman who came to Jesus, but still struggles with doubt – doesn’t feel saved. Dan and Mary don’t believe they’re saved, because they need Jesus and a feeling. That’s adding to Jesus! The Cross has triumphed over the powers and authorities of this world! Colossians 2:9 – Christ is so much more powerful than the thing that’s victimizing you! You don’t need Christ and a “really, really, remorseful feeling.” You just need Christ! Colossians 2:15 – Christ “disarms” – this word is used to describe a battlefield encounter where the victor defeats his opponent, takes his weapon, holds it over his head, and gives a victory shout. He completely dominates his opponent. That’s what Christ does to sin! Triumph = a complete conquest. Christ has not only triumphed, but has rescued us as well! Why do people have such a hard time believing this?